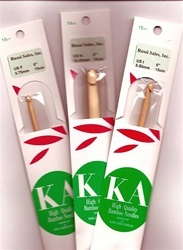 The maker of our wonderful bamboo circular needles now offers crochet hooks, in all sizes from B to P: 2.5 to 15mm. 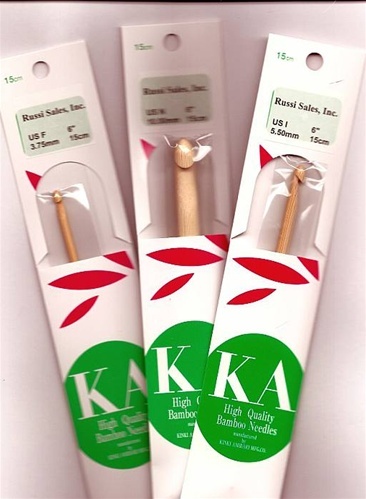 They're warm to the touch, compared to aluminum hooks, and have that natural look that's so attractive. Well shaped, with a not-too-pointy hook and a rounded head so they work well with a wide variety of yarns.